The silence after Wednesday night Cranes defeat against Togo is very loud. I am tiptoeing into this topic because I don’t want my footsteps to be heard. This piece of silverware has continued to be an illusion. The time line says it all; 1957 to 1959, Cranes did not enter the African Cup of Nations competition, in 1962 was in the forth place, 1963 withdrew, 1965 did not qualify, 1968 did not go past round one, 1970 to 1972 did not qualify, 1974 and 1976 couldn’t go past the first round, 1978 came in the second place, 1982 did not qualify, 1984 to 1988 did not qualify, 1990 withdrew, 1992 to 2013 did not qualify, 2015 the mathematics class is still in progress. 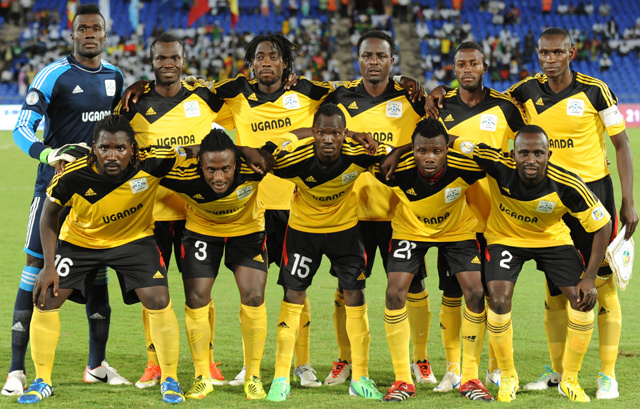 What perceptions do Ugandans have of the Uganda Cranes? We love our team they will tell you because that is the only thing that unites us all as a country. Unarguably, Ugandans love this team because when it is an international match day, the Namboole stadium is filled to capacity. Could this be a case of a farmer reaping from where he did not sow? Any smart farmer knows the seasons, the right soils, the right seeds, the right planting time, weeding time, the time to spray pesticides and a combination of all these will ultimately produce great yields. That, my friends is not the case with the Uganda Cranes. It is only when the football games approach, that we go to harvest from the garden that we did not tender. It is at harvest time that politicians unleash millions of shillings, it is the time for social media to burst with “we go we go” chants; it is the time to replace old jerseys. I am longing for the day when a bill will be tabled in parliament to have soccer academies planted in all corners of the country, when the minister of finance will include it in the national budget and when the government will hire scouts to search for talent at the grassroots- there is no short cut- the technical ability of players starts at the grass-root. I am yet to hear of retirement benefits for former Cranes players or even a baseline survey conducted to find out why the Nations Cup has continued to elude us after all these years. Can someone show me a 20-year strategic plan for the Uganda cranes? Same game plan same results, same game plan expecting different results is folly.